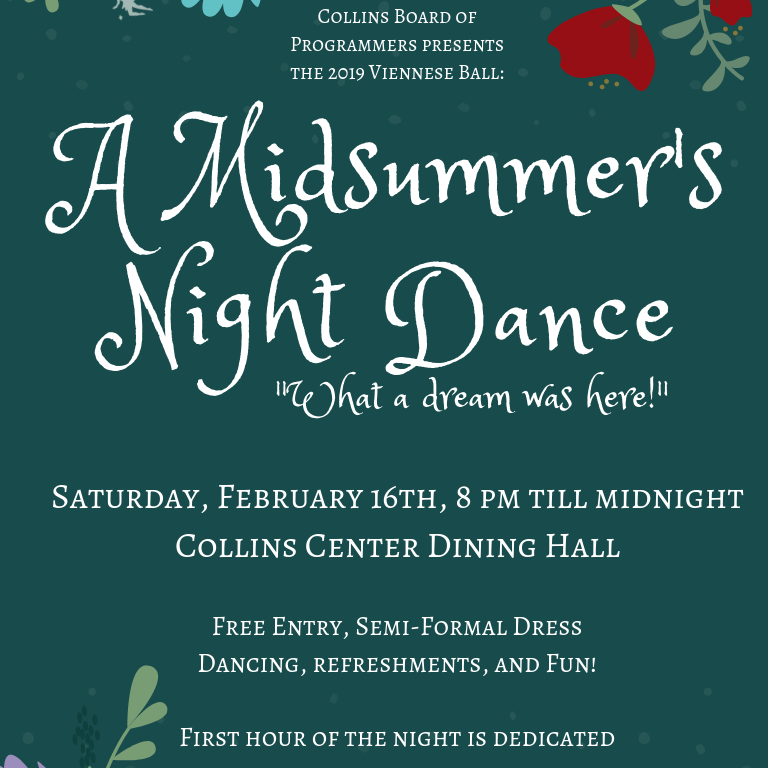 8:00 P.M. – 11:59 P.M.
You are cordially invited to attend the annual Collins LLC Viennese Ball. Join us at 8PM on Saturday, February 16th, for an evening of dancing, refreshments, and general merrymaking. The first hour of the dance is dedicated to waltzing, featuring a quartet from the Jacobs School of Music, so be sure to brush up on your dancing skills. This year's theme is "A Midsummer's Night Dance," so don your flower crowns and make your way to the Collins Dining Hall for a fantastic time!